I would love to be in Melbourne for this. A couple of men talking about how they turned their lives around by rejecting capitalism and owning objects. Minimalism is a concept that is hard to grasp at first. It is about letting go, each day making tiny decisions that will effect our long term future, in a positive way. Minimalism is removing unnecessary cluttter – physically, mentally and emotionally. 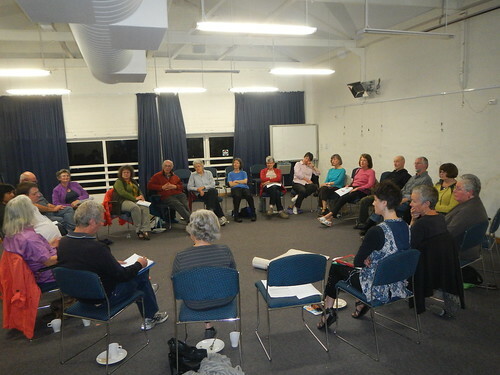 Around 20 members of Sustainable Communities met at the Box Factory on Monday 30 September to share stories with each other about the activities and successes of our Community Groups and to discuss ideas for the future of our organisation.